Replacement of defective components such as disk, memory, etc. e.g. 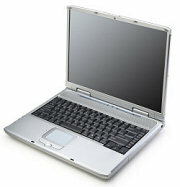 Acer, Asus, Compaq, eMachines, Dell, Fujitsu-Siemens, HP, Hyrican, IBM, Lenovo, LG, Medion, MSI, Packard-Bell, Panasonic, Toshiba, Samsung, Wortmann, etc.